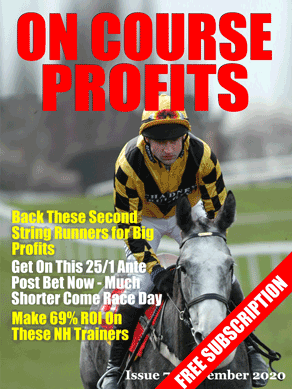 As regular readers know I'm always writing about the great betting systems and strategies that are shared every month in the Betting Insiders Club members report. And it is probably the best source of new systems and strategies every month and a subscription to Beting Insiders works out a lot more cost efficient than buying all the much hyped systems that are pushed at us every month. 90% of which is total crap. But what I haven't mentioned is the excellent tips that are also provided as part of the service. In fact there are a lot of tipsters that haven't made 23 points profit this month that charge more than Betting Insiders charges for the whole club experience (+£579.25 at £25 stakes). Carl Nicholson of Value Backing. Mark Foley of Trainer Trends. Jon Gibby Author of Raceform ‘Well Handicapped Horses'. Dave Renham of Racing and Football Outlook. There are huge bonuses if you take the annual subscription which works out at just 66 pence per day, that would be super cheap if you were just getting the tips but it is an absolute bargain for the whole package. If you are serious about making money from betting. The Lay Debutant selections I now lay in the win and the place market, we are currently manually checking the Lay Handicap selections to see if that is the best approach, but for now I am just laying them in the win market.